Will Archer earn a call-up - and, if so, whose place is in jeopardy? 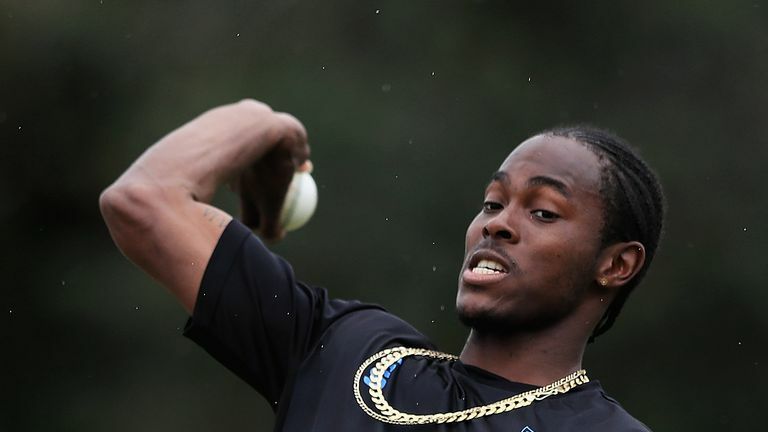 He has played only 14 List A games but Jofra Archer is looking increasingly likely to make England's World Cup 15. The Barbados-born seamer, who became eligible for his adopted country in mid-March, could be named in England's provisional squad, which will be revealed on Wednesday. Watch every ball from every match this summer as England go for glory on home soil. At the very least, Archer seems set to be picked in an enlarged party for May's one-off ODI against Ireland and five-match series against Pakistan, when he will get the chance to prove he should hotfoot it into the final squad. Archer's wicket-laden exploits in T20 leagues have helped Hobart Hurricanes and Sussex to Big Bash and Vitality Blast finals respectively, while he is currently in action for Rajasthan Royals in the IPL - the 24-year-old enjoying a second season with the Jaipur-based side after bagging 15 scalps in his maiden campaign, having been acquired for $1m. Archer's speed has had batsmen hopping around against Sussex - one of the reasons he could make England's World Cup squad! The paceman topped the fastest delivery charts in last term's IPL - reaching a lick under 95mph - and has frequently surpassed 90mph this season. But, as Sky Sports Cricket expert Mark Butcher explains, it's not just Archer's speed that is of interest to the England selectors as they look to provide Eoin Morgan with the tools that can lead the country to a first global 50-over title - on home soil, to boot. "The reason Archer is so compelling is simply because he can replace any one of England's front-line seamers," said former England and Surrey batsman Butcher. "He could cover Liam Plunkett and his role mid-innings, he could cover Chris Woakes and bowl with the new ball. He can also be a very effective performer at the death." Scorching deliveries, slower balls, yorkers, not to mention his gun fielding and batting ability - Archer could have made an irresistible case for World Cup selection, despite not having yet debuted for England. So, if he comes in, then who drops out? A few of England's seamers, plus leg-spinning all-rounder Joe Denly, will be sweating between now and Wednesday's announcement. One solution would be to go like-for-like and pick Archer instead of a paceman. It was the old Kevin Keegan thing, bringing in Tino Asprilla because you want to keep the team at the top. All of a sudden, you can lose the momentum and drop down. There is no doubt that Jofra is a world-class player.He would obviously be a great asset but would that affect the dynamic. With Woakes the cornerstone of the attack - despite nursing a knee issue of late - Mark Wood rediscovering his rhythm and rapidity in the West Indies after adopting a new longer run-up and Liam Plunkett's thumping of the middle of the pitch in the middle overs proving highly successful in the four years since the last World Cup, Tom Curran and David Willey would appear the quicks in most peril. Yet, with Plunkett's pace having dropped off a tad, his place is not yet secure either. Curran has been most effective at the death with his smorgasbord of slower deliveries, with Willey, in contrast, used at the start of an innings, trying to pick up wickets with swing. 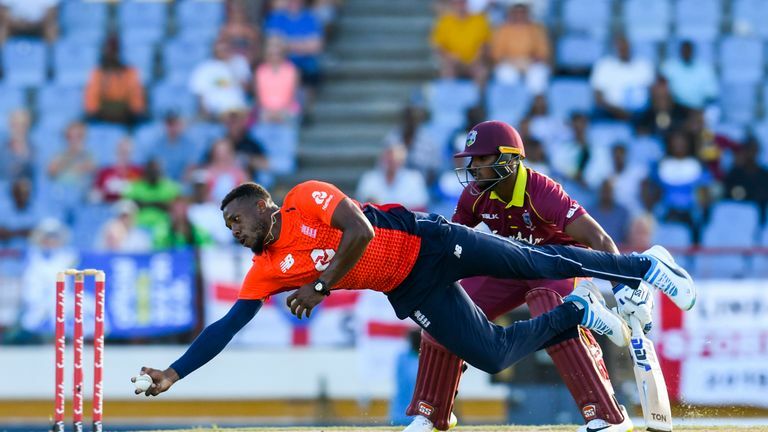 Willey did not play an ODI in the West Indies earlier this year but impressed after playing in the T20I series, taking 4-7 in the final fixture as Windies were rolled for 71 and 2-18 a game earlier as Jason Holder's men were bundled out for 45. The Yorkshire player is a superior batsman to Curran, having scored five white-ball hundreds and two in red-ball cricket, but the fact he bowls left-arm seam could be the reason he gets the nod over his fellow fast bowler. As Butcher put it a few months ago: "I think England would be very daft not to have the option of someone who bowls it the wrong way round. "Willey, I think, still has a role to play - he has the knack of getting three wickets for nothing with the ball swinging." The easiest solution, though, may be to go seam heavy, pick them all and leave out Denly, whose role in the squad would be back-up for spin mainstays Adil Rashid and Moeen Ali, with England sure to call on Alex Hales ahead of him should a batting spot become available in the XI. Rashid - the leading wicket-taker in ODIs since the 2015 World Cup, with 125 scalps in 78 matches - and Ali are nailed on to start if England play two spinners, while Joe Root, whose off breaks often go underrated, could arguably fill in if one of those two were injured, particularly in a six-man attack when he wouldn't necessarily be required to bowl his full 10 overs. If England do want another spinner, though, Denly's only competition would appear to be Liam Dawson, who was back-up tweaker until he was struck down by a side strain during the Sri Lanka series in October - Denly taking his spot then and since. 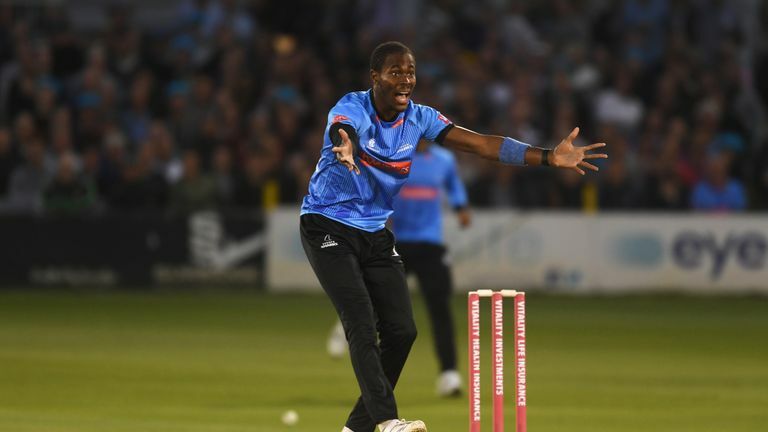 Chris Jordan may have made a late run for a place after taking six wickets in the T20 series in the West Indies, showing he can strike with length deliveries as well as yorkers and slower balls. His penchant for superb catches may also be a lure. 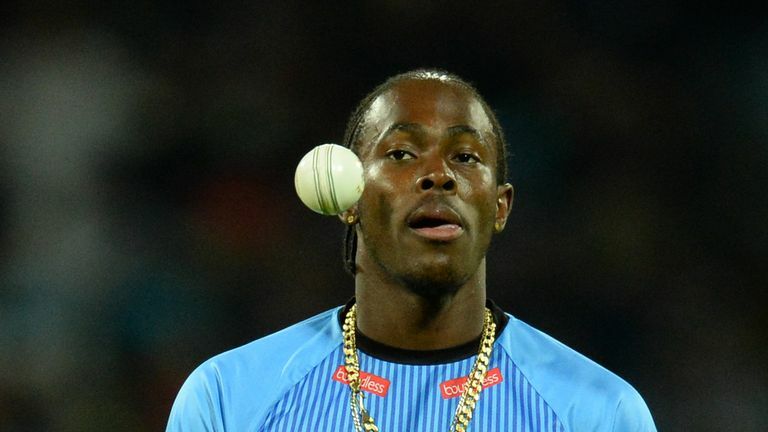 Jordan would love for both him and Sussex team-mate and "little brother" Archer to make the World Cup cut but the qualification of his fellow Bajan probably pushes him further down the pecking order. It looks poised to be a watching brief for Jordan when it comes to the World Cup, much like for Kent captain Sam Billings - with Hales currently the spare batsman and Denly also in the mix, there seems no room for Billings, despite a quickfire 87 in his last England innings, in the second T20I against Windies in St Kitts in March. Wednesday won't technically mark the end of the road for those not selected, with England able to make as many changes as they like to their 15 until a week before the tournament starts - Morgan's men kicking things off with a match against South Africa at The Oval on May 30. But it will give a clear indication of England's thinking and probably show that Archer is about to be let loose in international cricket. His 15th List A game looks certain to be in an England strip.